Isagenix Reviews – Are They Accurate? You are here: Home / Blog / Isagenix Reviews – Are They Accurate? Protein shakes can be a powerful way to acquire nutrients and to stay healthy, especially for people working on losing weight or developing muscle. Yet, there are countless different options out there, with Isagenix being one of those brands. So, how do you make the best decision? Well, many people end up turning to reviews, like the Isagenix reviews on Amazon or on other sites. Doing so is a useful starting point but those reviews have limitations too. After all, people tend to be brand loyal and this often influences their decisions and recommendations. For that matter, Isagenix is a direct marketing company. As such, they rely on distributors to promote and sell their products. Many of those distributors will be honest but some tend to misrepresent the products, making them sound better than they are. So, in this post, we’re taking a look at the protein shakes from Isagenix. This includes considering whether the shakes are actually any good and how they compare to other brands. Isagenix offers many different products, all of which focus on health and wellness, to some degree. This includes items that are meant to support healthy aging, along with ones that boost performance, weight loss or energy. They are also promoted in conjunction with one another, such as the 30-day system shown below. As a general rule, systems like this aren’t particularly effective. You end up relying on a large range of products, each of which has a wide ingredients selection. Some of the components may be beneficial but you’re likely to see more advantages from just following a balanced diet to begin with. One of their key items is the IsaLean shakes, which are part of the weight loss category. These are heavily promoted as helping to reduce hunger, ensuring that people can stay active and lose weight effectively. And, if you look at the marketing, it does all sound amazing. The ideas here are good but not unusual. For example, most whey protein powders will have a similar branched-chain amino acid profile, as will food-based sources of quality protein. So then, do the shakes actually live up to the company’s claims? Or, are they simply an average meal replacement option? There are two main forms of shake that Isagenix offers. The main type uses dairy and has whey protein as the primary source of protein. There is also a dairy-free version, which relies on brown rice protein and pea protein. These are both common plant-based protein sources. Regardless of the type or flavor of shake, Isagenix relies on a large range of plant-based ingredients to add in nutrients. You can see a full list on the Isagenix site itself and the image below highlights some of these. Some of these ingredients will offer the nutrients that the shake provides. But, others seem to be included because of their apparent health benefits. The specific components that Isagenix uses are different than other brands – as every company varies somewhat in their choices. The same is true for the exact percentages of the nutrients. Nevertheless, there is little evidence that any of the ingredients offer significant additional benefits for health or for weight loss. Likewise, the nutrient composition may be good for health but you will find similar options from other brands. The main things to mention here is that the protein content is relatively high but so are the sugar and the carbohydrate levels. What’s more, the shakes use added sugar and also stevia leaf extract, rather than choosing one or the other. The calorie count here is also higher than you might expect for a meal replacement shake. This doesn’t make weight loss impossible – especially as you’d be having the shake instead of a meal. Still, the calorie difference is worth considering. Related Article: Plexus vs Isagenix: Which Wins for Weight Loss? There has actually been some clinical research conducted on the Isagenix shakes – although it wasn’t particularly high quality. More details about the study can be found at the site Science Based Medicine if you want a full rundown of what the research involved. Basically though, the study looked at 54 obese women who followed a calorie-restricted diet that replaced two meals with shakes and also used intermittent fasting once per week. Intermittent fasting has some benefits and it is a powerful approach for some people. Nevertheless, it isn’t particularly relevant for testing the shakes. Besides that, following a calorie restricted diet AND intermittent fasting AND liquid meal replacement is not a sustainable approach. The end result was that across 8 weeks, the participants consuming the shakes lost more weight than those who didn’t – but the difference between the two was less than half a pound per week. That variation can easily be explained by the difference in calorie intake – so it doesn’t prove anything about the shakes. The outcomes aren’t even specific to Isagenix. Instead, it’s likely that the weight loss would have been similar for any other type of protein shake. What’s more, the study offers no insight about long-term weight loss or weight loss in people who are overweight but not obese. So then, it’s clear that Isagenix isn’t unique and the shakes aren’t as revolutionary as the company claims. But, the underlying concept does have merit. As for Isagenix itself, the value of the protein powder depends on what you’re looking for. One issue is that Isagenix is fairly expensive. For example, if you go through the company itself, a container of around 14 servings will cost you $53.27. If you had one shake per day, you would be spending more than $100 each month. For health and weight loss, that price isn’t extreme. But, there are other brands that offer basically the same thing for less. For that matter, many companies have 30 servings in a container and would charge the same amount (or less) for it. If you compare macronutrients across brands, then Isagenix does appear to do well in some areas. You can see a comparison in the table below and the site Diets in Review also compares Isagenix to a different selection of brands. Offering 24 grams of protein per serving is fairly decent. Likewise, the 8 grams of fiber is appealing. But, the other elements aren’t as good. For example, you have 11 grams of sugar per serving, along with 6 grams of fat. The balance here is unusual. Most protein powders are relatively high in fat or in sugar – not in both. The high sugar content is particularly problematic and makes the shake useless to anyone who wants low carb protein powder. The fairly high calorie content could also be an issue if you wanted the shakes as a way to lose weight. Oddly, the shakes still use stevia, despite their sugar content. That decision isn’t encouraging, as people tend to want either natural sweeteners or sugar, not both. Still, directly comparing like this has its limits. In particular, Isagenix has a serving size of 61 grams, which is around twice as much as other protein powders. This is partly why there are only 14 servings in a canister, while most other companies have 30 servings. If you take the serving size difference into account, then the IsaLean shakes are fairly similar many of the other brands that are out there. Well, there’s still nothing revolutionary about the shakes from Isagenix. They may be a good choice if you want a high protein shake. But, you could also just use two servings of 310 Nutrition to get that general outcome. For that matter, you can check out our recommended protein powders. Many of these offer as much protein per serving, if not more, while also providing better value for money. Still, nutrients aside, Isagenix does cater towards more dietary needs than many other brands. In particular, they have whey and dairy-free variations, along with a Kosher shake. Some marketing also suggests that the shakes are gluten-free, although the company doesn’t state this explicitly. Some users report nausea or digestive issues, especially for people who are sensitive to dairy. Likewise, excessive protein can sometimes cause side effects and these are more common if you are suddenly increasing protein intake. In some cases, the shakes can also cause weight gain. This is mostly because people don’t account for the extra calories or simply don’t find the shakes filling. However, these patterns are similar across all protein shakes and they’re not specific to Isagenix. As with other shakes, you minimize the risk of side effects by also following a healthy diet and ensuring you are getting enough nutrients. As a general rule, reviews for Isagenix are mixed. There are some people who enjoy the shakes and rely on them. But, many others are unimpressed. For example, the image below shows the rating distribution from the site Weight Loss Top. This balance does mean that some people enjoy the shake. But still, many others don’t. To make matters worse, Isagenix is expensive and there are many other options out there. So, even if you did enjoy the shakes, there are probably other products that would work just as well for you. As with any brand, perspectives about the flavor were mixed. So, some people find the shakes enjoyable, others hate the taste. Likewise, some reviewers mentioned that the texture was bad, while others did not have any problems with it. The end result is that Isagenix doesn’t score as well as you might expect. Instead, reviews tend to be fairly average. That’s concerning when the product is expensive and is meant to offer amazing benefits. Based on these reviews, the shakes are just average, at best. This supports the conclusions of the macronutrient comparison as well. You can also read more reviews on the Amazon listing for the shake. Even though the macronutrients in IsaLean aren’t compelling, the basic answer is yes, the shakes do work. But… that doesn’t make them amazing, not by any means. Realistically, Isagenix shakes are simply meal replacement shakes. That means they offer a significant source of protein, along with a range of nutrients. The same concept is common across countless other brands. In some situations, meal replacement shakes can be powerful. For example, they offer an easy way to consume extra protein and nutrients, especially if you’re making a smoothie and adding in other ingredients, like wheatgrass powder, cinnamon, vanilla, cocoa or honey. 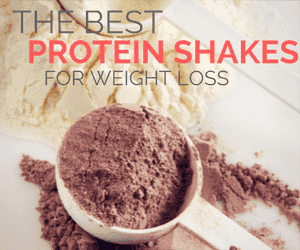 The inclusion of protein also makes the shakes somewhat filling. As such, they can be used as a replacement for meals or sometimes as a snack. In that role, protein smoothies and shakes can help with weight loss – by making it easier to decrease calorie intake. But, this pattern is true for most protein shakes on the market. What’s more, the comparison of macronutrients across shake types shows that Isagenix shakes aren’t all that special. So, you could get the same benefits from many other brands. With that in mind, Isagenix simply comes down to personal preference. Some people certainly are passionate about the brand and the shakes do often receive 5-star reviews, including on the Amazon listing. As such, the shakes may well be a good choice for you. Still, don’t be afraid to try out other brands. There are many different types of protein options out there, including plant-based, low-carb and whey protein powders. Regardless of what you choose, protein shakes work best as part of a healthy diet and lifestyle, rather than as a quick fix. This means that you should still be getting sufficient nutrients in the rest of your meals and shouldn’t replace more than one meal per day with a protein shake.